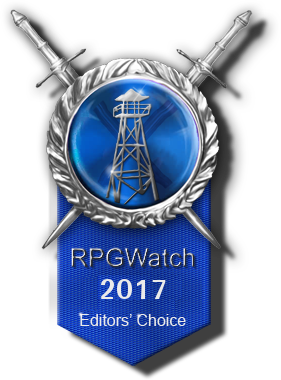 For 2017 the RPGWatch Game of Year results are fairly clear. We have a clear winner, in Divinity Original Sin 2, which easily beat out second place with ELEX, which in turn handily beat out all of the other competition. This marks a notable contrast to 2016 where no game really stood out and many abstained from naming a Game of the Year, preferring "none" as their first place vote. Divinity Original Sin was Game of the Year in 2014 and once again both editors and gamers have bestowed their honours on Larian for the game's successors. This should come as no surprise to anyone, as Divinity: Original Sin 2 has won awards by the wagon load from all manner of gaming websites and magazines, ranging from the smaller niche sites to the big, mainstream ones. It's well earned too, as the game serves as a good reminder to everyone that it is entirely possible to be successful while cherry picking elements both from oldschool games and more modern ones. The visuals, the art, the voice overs and the soundtrack are all of very high quality, yet with a depth and gameplay that is more similar to games from the 90s or early 2000s. Divinity: Original Sin 2 is one of very few RPG's that hardly comes with any caveats, which means it can be recommended to almost anyone who's a fan of RPG's. 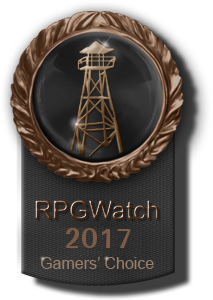 That, in itself, is a rare feat in this day and age, and we can't wait to see what Swen and Larian comes up with next. Gothic 2 is considered a classic open world RPG, but gamers have had mixed feelings about its successors, including the Risen series. However, ELEX, the latest Pirahna Bytes game, is clearly developed with the fans of the Gothic series in mind, where a bit of patience was always required, and it is likely to fit the bill for anyone who enjoys the challenging, unforgiving approach Piranha Bytes used from Gothic 1 to Risen 1. In fact, it might very well be the best Piranha Bytes game since Gothic 2, especially for people who find the unique science-meets-fantasy setting of Magalan to be a breath of fresh air. Luckily, ELEX 2 has already been announced, which is great news, as it's nice to see Piranha Bytes back in good form. Planescape Torment is considered one of the best written rpgs of all time. InXile's spiritual successor also presented a narrative heavy rpg set in a futuristic world. After a hugely successful Kickstarter campaign in 2013, where they broke the record for highest funded video game on Kickstarter by getting over $4,100,000. The promise to deliver a spiritual successor to the legendary Planescape: Torment also meant that the game would be compared to an almost impossibly high bar, especially since nostalgia is involved, similar to Pillars of Eternity being the spiritual successor of Baldur's Gate. What we got may not have been the successor to Planescape: Torment, but it is an interesting game on its own accord nonetheless. It's a game that takes a big, creative risk by marginalizing combat and putting an even heavier emphasis on conversations than Planescape: Torment did. 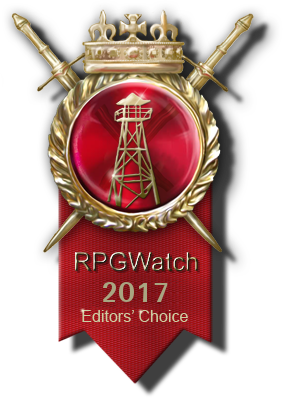 While some did not like it because of its deemphasis of mechanics, It still managed to edge out fourth place Battle Brothers and fifth place Prey both with the players and editors. All other games scored a percentage of less than 1.4%. And for the record, DOS2 had 38% of the votes, ELEX 19% and Torment had 7%. As you can see, our editors have the same opinion as our visitors.